For Raffles Institution alumnus Roger Look, walking through the school halls to marvel at the honour roll of alumni is something he remembers of his youth. This honour roll was made up of men who took up distinguished roles to serve and lead Singapore with distinction. He recalls, “As a young boy then, I was inspired to follow in their footsteps. That desire to serve Singapore and its citizens, coupled with an interest in aviation, led me to take up a scholarship with CAAS. With his scholarship, Roger pursued his degrees at Duke in the US and Oxford in the UK. Studying at two of the world’s finest institutions certainly afforded him with a holistic experience and equipped him with essential life skills. It was also during his undergraduate years that Roger completed a total of three internships with CAAS, beyond the one-internship minimum requirement of the CAAS scholarship. He found these internships useful in that they allowed him to have a taste of CAAS’ various core functions and meet the people who would eventually become his colleagues. Today, Roger is a Manager at the Air Transport Division, where he is witness to an exciting range of CAAS projects. The most memorable one for him this year was the Singapore Airshow 2016, Asia’s largest aerospace and defence event. The Airshow boasts a range of latest state-of-the-art aviation systems and is a platform where international aviation leaders share their knowledge and expertise. Stimulating challenges await those who wish to join CAAS’ fast-paced environment. Roger tells us that officers are required to work with various stakeholders, all of whom have different objectives, personalities and working styles. “It will thus be useful for fresh graduates to seek ways to get a sense of different stakeholders’ views, anticipate the likely outcomes based on available information, and work on securing buy-in from stakeholders even before formal meetings to ensure higher rates of success,” says Roger. 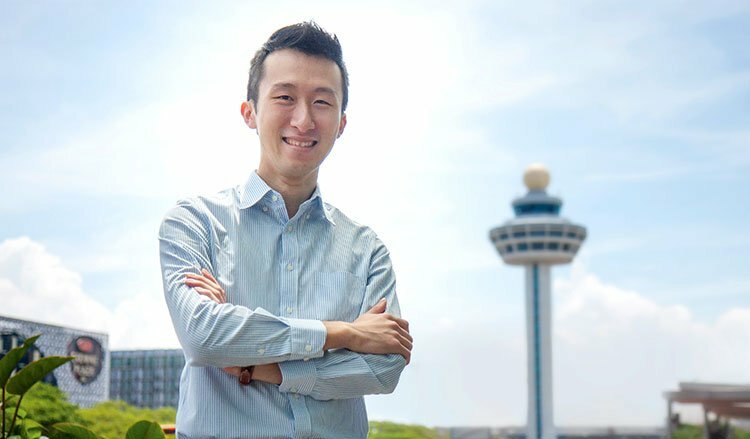 He also advocates that one needs to possess a strong conviction to serve in Singapore’s public sector, a passion for civil aviation, a high-achiever mentality and the ability to lead. “It is also helpful if one identifies strongly with national icons like Changi Airport and Singapore Airlines, and has a relentless drive to exceed expectations!” Roger ends off gleefully. Explore more scholarship options at BrightSparks!